Tour of Qatar started off with a 15 hour plane ride from Miami, FL and an 8 hour time change. Not 30 hours from landing we were racing full speed in the gutter with wind whipping sand across the road. This is a special race. Everyday everyone is fighting for position because an echelon will form and the road is only so big. Everyday there are crashes. Everyday the field will split into groups and no matter if you’re in the front group or last group you’re going as hard as you can. For this race I had a 54 tooth front chainring, and yes, I spent a bit of time in the 54×11 as we hit top speeds of 50mph on the flat dessert roads with average speeds between 28 to 30 mph for more than 100 miles. We gave it our best shot. The team had some strong performances against some world class competition. Personally, I felt like the legs were coming around each day for the effort that is required at race pace compared to training. The team started moving better together by the end of the race and Marco Canola was 10th on the final stage. Not a result that we are normally happy with but we have to be realistic in the end. We’ll take what we got from here and move onto the next race which starts in just a few days. We have a little down time today to enjoy the nice place we are staying before flying out to Oman. Oman is more of a “normal” race. By the looks of the profiles there will be lots of climbing. Join us for a Valentine’s Day Fat Bike Ride…Sunday, Feb 14 2pm at Riley Trails in Holland. All speeds, levels and abilities welcome! Post-ride beverages at Itty Bitty Bar. After a couple months of preparation it’s time to get this 2016 season underway. This year my season starts at Tour of Qatar. This will be my first time racing Tour of Qatar. I’ve heard plenty of war and horror stories about this race. If you’ve seen pictures you can tell the race blows apart every day due to cross winds. There’s no such thing as easing into the season but sometimes you can hide. In Qatar there is no where to hide. Are you ready? I get asked this often before the first race of the season. Many of you know I live in a very opposite climate to Qatar. The Michigan winter has been pretty tame for the most part but winter and snow are not friends to a professional road racer. Going into the first race of the year is always tough to know where the body and form will be. It’s a long season so I prepare physically and mentally the best I can and then give it everything. If it goes well then great! If it goes bad there’s a lot more racing to come. I’ve had fun preparing for the season with fat bike rides, nights rides, and very few trainer rides. The mental freshness is important heading into a long season. Even if I suffer a little in the fist few races it was worth not pounding out crazy hours on the trainer. How do you deal with the heat coming from Michigan? This is another question I get asked a lot. Luckily the temperatures don’t look too bad but it will be an adjustment. That’s not the only adjustment we’ll be dealing with. Usually we get in a few days ahead of the race. After 27 hours of travel and an 8-hour time change we’ll have one day before we start racing. It’ll be crucial to hydrate as much as possible while flying. We’ll be in the Middle East for about 3 weeks. After the Tour of Qatar we stay and Race Tour of Oman. Oman will be more hilly which is a race that riders like Contador and Froome do well at where Qatar is more for the Classics riders like Boonen and Cancellara. A lot of the guys who want to be flying at the classics use these races as preparation. I’m not sure of exact schedule yet I but these races will get the legs going for the upcoming season. An overview of the entire bike focusing on cleaning, inspection of bike, tires & tubes, repair and basic adjustment to shifting and breaks. 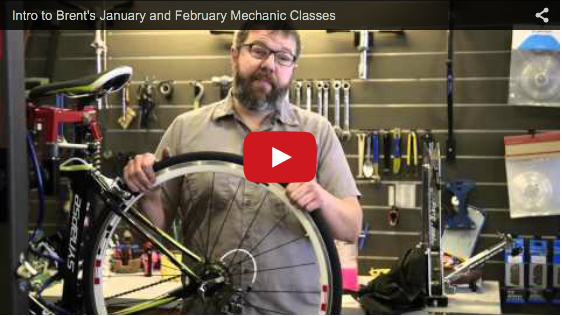 Learn to tune-up your own bike, while actually fixing it at the same time! Get some 1-on-1 training with your favorite mechanics. We can customize the training to whatever gaps are in your knowledge. Call to schedule your tuneup 616-355-2000. Or simply stop by the shop and drop off your bike! 326 S River Ave Holland, MI 49423. Next to the library.